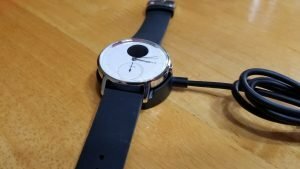 The Nokia Steel HR is the first hybrid smartwatch I have reviewed, or used at all for that matter. The watch caught my eye because, well, it looks like a watch with classic styling. Update: A newer version of the watch has been released with several improvements! 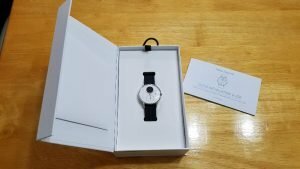 In this review, you’ll be seeing the 36mm diameter version. There’s also a 40mm version which features a wider bezel, however the watchface and digital screens of both sizes are exactly the same. The 40 mm just gives a more substantial look that men may prefer. A video review is at the end of this article. I’m really loving how the 36mm Steel HR looks on my wrist. Pretty much all the fitness trackers and smartwatches that I have reviewed are 42-44mm in diameter, so I definitely notice the size difference— in a good way. As you can see below the Nokia Steel HR, in the middle, looks quite a bit smaller on my arm than the Ticwatch 2 on the left (which b.t.w. is still my favorite smartwatch) and the Garmin Fenix 5s on the right. The stainless steel finish and understated yet attractive classic looks of the Steel HR is what I’ve been missing in a watch, and it still has the basic fitness tracking features I’ve come to expect and desire. Hybrid smartwatches are ideal for two reasons. One, they look a heck of a lot better than many fitness trackers and can match with professional attire or dressier occasions. And two, they usually have a very good battery life because they don’t have that big, flashy, battery-consuming screen that smartwatches typically have. And I guess I can throw in a third advantage in their “always on” display with mechanical hands. One thing you’ll know for certain with the Nokia Steel HR is that whatever steps it counts, you can be certain that those were truly steps that you walked. 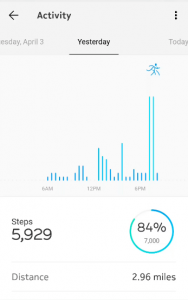 I’ve noticed that if I walk fewer than 20 steps or so, it usually doesn’t count those steps and that’s common for many modern fitness trackers in an attempt to not count random arm movements as steps. Step tracking accuracy is much better on longer walks but the Steel HR still undercounts in comparison to the Fenix 5s. 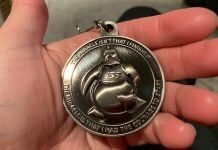 For example, during a walk/jog on a treadmill in which the distance was a little over 2 miles (according the the treadmill’s computer), the Nokia counted exactly 3,000 steps while the Garmin Fenix 5s counted 4,596. That’s quite a difference. 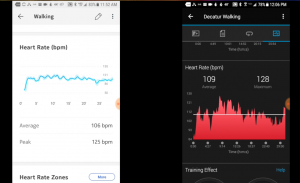 On another test, I used the GPS on the Fenix 5s to compare distance estimates versus the Nokia Steel HR which doesn’t have a built-in GPS or the ability to connect to your phone’s GPS. Instead the Steel HR primarily estimates distance based upon how many steps you’ve taken and your height. 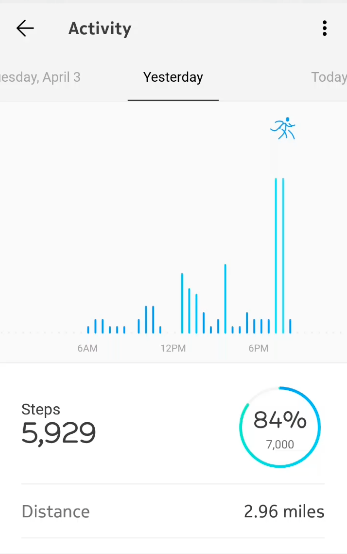 Generally, it takes about 2,000 steps to walk a mile for the average height individual, so for a 2-mile walk in the example above, the count by the Steel HR’s estimate of 3,000 steps seems really low while the Fenix is closer to what the actual step count probably was but the Fenix 5s does tend to overcount some, like this morning when I was getting dressed and it counted 70 steps when I was mostly just moving my arms. In reality I probably only walked about 20 steps. The Nokia does much better with sleep tracking. It is very good at detecting when I’m awake during the night and estimating the time I wake up. The only time it has been off is estimating when exactly I fall asleep. Sometimes it estimated that I had fallen asleep about 15-20 minutes sooner than I think I really did. 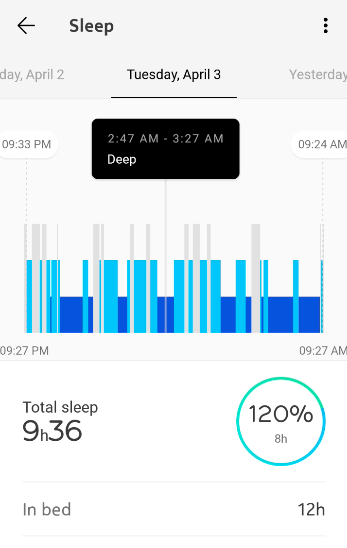 Overall, I’m satisfied with the accuracy because it’s sensitive enough to pick up on light and deep sleep, as well as times when I’m awake and then fall back to sleep. The Nokia Steel HR automatically detects your activities, more specifically walking, running, and swimming. For the most part it does it good job detecting when I am working out but the other day I was walking at a fast pace on the treadmill for 20 minutes and it didn’t detect the activity. I’d just suggest turning on continuous HR tracking to make sure all your activities are being tracked because the automatic tracking doesn’t always work, plus you’ll probably want to be able to see your heart rate and the timer when you’re working out anyway. 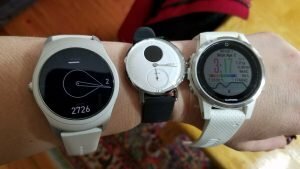 Heart rate comparison versus the Garmin Fenix 5s. 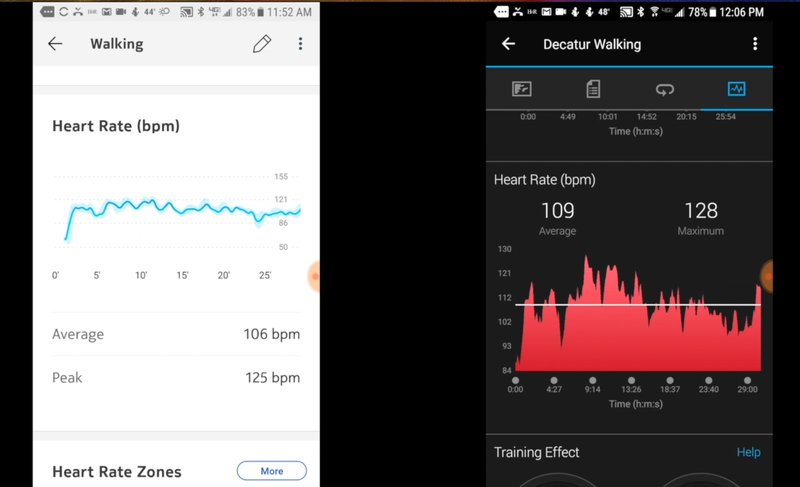 The scale if the two graphs make them appear quite different but the average and max heart rate estimates of both were very close. 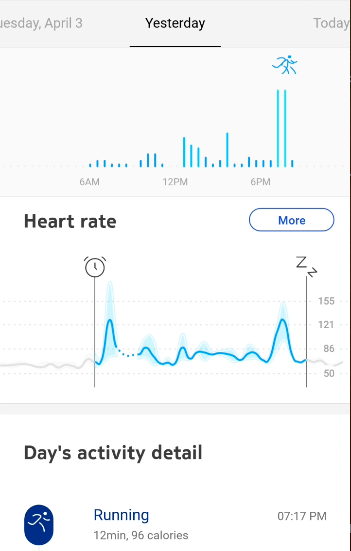 So far, I have been most impressed with the heart rate sensor of the Nokia Steel HR. It is probably the most accurate wrist HR sensor I’ve tested out in quite a while, and that’s comparing it to full-featured fitness trackers from Fitbit and Suunto. It’s been great and I’m thrilled because if there’s anything I’m super picky about when I review smartwatches and fitness trackers it’s the HR sensor. If it isn’t good, I’m not happy. In my tests walking and running on the treadmill it has done a terrific job versus both chest HR straps and the Fenix 5s. It rarely shows erratic data and if it does it’s very quick to correct itself. 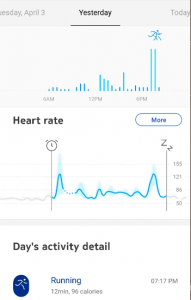 By design the HR sensor measures your heart rate once every 10 minutes which gives a fairly good picture of what your resting heart rate is throughout the day and night. However, continuous HR tracking can be turned on at any time for greater accuracy. Of course, the cost will be reduced battery life. The Nokia Steel HR is able to notify you of incoming calls and text messages. You’ll see the name of the person calling or texting, if they are in your phone’s contact list. Calendar notifications can also be enabled. 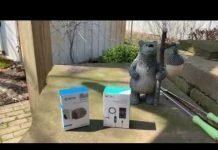 I’ve had a little trouble with Bluetooth connectivity. For one thing, the range isn’t as far as I would like and sometimes when I come back into range it doesn’t automatically reconnect. 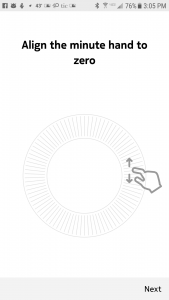 Notifications are then missed because of this. I’m using an Android phone so I’m not sure how it behaves with iOS but yeah, I think the Bluetooth connection could be stronger and more reliable. 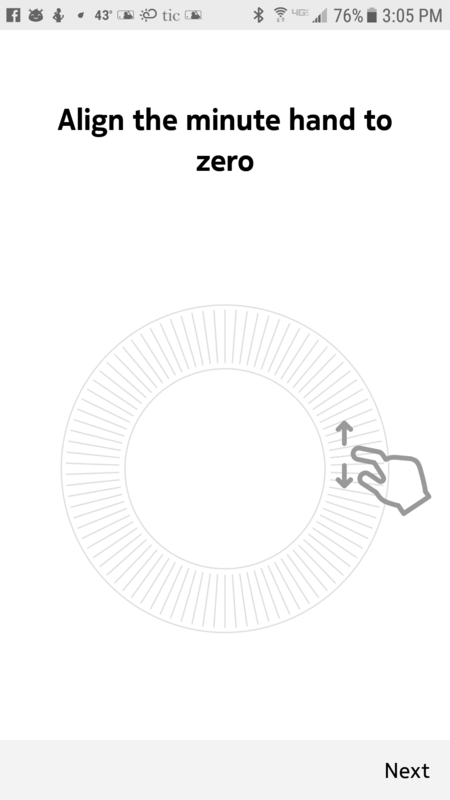 When it is connected, syncing activities is quick however. The Nokia Steel HR can also sync your activities to MyFitnessPal, Google Fit, IFTTT, Runkeeper, and Nest. 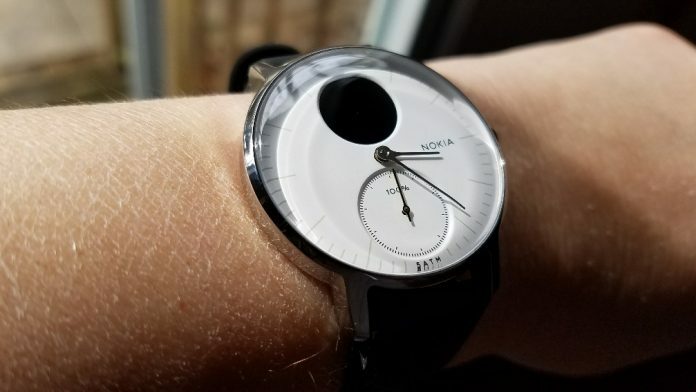 The bezel and casing of the Nokia Steel HR is composed of stainless steel and while I haven’t had the watch long enough to determine durability, I haven’t noticed any scratches in the finish. The silicone strap that came with mine is comfortable and features quick release pins for easy swapping out to another strap. The silicone strap is a bit of a dust and fur magnet but running it under the faucet cleans it off nicely. The Steel HR is water resistant to a depth of 50 meters so it is made for swimming. You shouldn’t have to worry about getting it wet. The Nokia Steel HR claims a battery life of up to 25 days with normal usage and that’s probably true. Over the past week I’ve been putting it through several tests, downloaded a firmware update, had continuous heart rate monitoring on several times, and after 5 days it has only used 19% of the battery. If you turn off notifications, the battery life can be extended up to 40 days according to Nokia. I’m not sure about that since I haven’t been able to test that claim but I can confidently say that the battery life is very good. You won’t have to charge your Nokia Steel HR very often but I do like the charging cradle it uses. I prefer these over other methods. 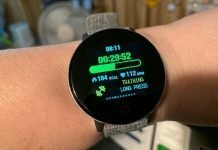 The watch uses Nokia’s Health Mate mobile app and it’s a little different from other fitness tracker apps that I have used. For one thing when I was setting up the watch, I had to calibrate the hands of the watch (minute hand, second hand, and step % hand). So far the position of the hands have remained accurate and if they ever get out of alignment the app lets you readjust them. Also, because you don’t select a specific activity before you do it, you select the activity after it shows up in the app. You then scroll through a list of various activities and select the one you actually did. You can also select the intensity level for each workout and this will change the calorie burn estimate. I’m not sure how this affects accuracy since it’s a rather subjective guesstimate determining how intense a workout was but it is an interesting feature I haven’t seen in any other app. The app is easy to use and shows your step, sleep, and heart rate data. Overall, I’m happy with the Nokia Steel HR most of all because of the niche it fills. It is nice to wear a watch that looks good and can still track my basic health and fitness data throughout the day and night. The fitness features aren’t on par with a Fitbit or a Garmin but I think there’s still a market for it. Hybrids appeal especially to professionals that want a watch the matches their attire. It’s also a watch that can be worn for special occasions and fit the part. The pros of the Nokia Steel HR are its great battery life, very good heart rate sensor, good sleep tracking, and attractive design. The watch is also very easy to use and the small digital display is practical for viewing your stats throughout the day without having to look at the app. The cons would be the step tracking which misses more steps than I would like and the digital display that can be hard to see in bright sunlight. Overall, I’m happy with it. I just wish the step tracking was a little better but the watch does everything else very well. 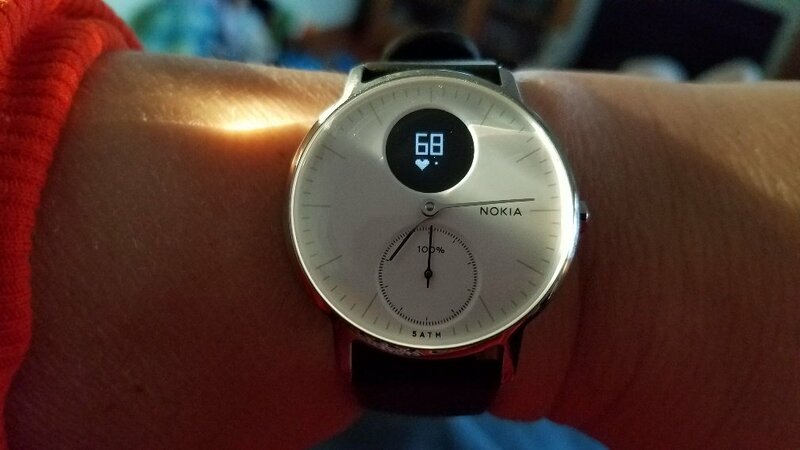 The Nokia Steel HR is one of the best hybrid smartwatches available in 2018. It's an affordable and attractive alternative for someone wanting a watch that is both stylish and functional for fitness tracking.